We all know that Superstorm Sandy was immensely destructive to the eastern coast of North America, with New York and New Jersey particularly hard-hit. While individuals battled to save their property — and in many cases their lives — huge Internet data centers struggled to stay online. 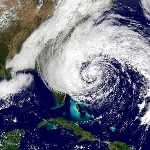 Sandy didn’t hit people and businesses just on the East Coast. The huge storm’s effects were felt across North America. As anyone who read last week’s Windows Secrets knows, the servers that deliver the Windows Secrets newsletter were knocked out just as we were preparing to publish. Fortunately, we were able to switch to servers on the West Coast, and we believe most subscribers received the Nov. 1 issue. The flooding caused by Sandy had a huge effect on the Internet. Numerous major data centers lost power and went dark, despite having spent millions of dollars on backup systems. Windows Secrets data centers. permalink.